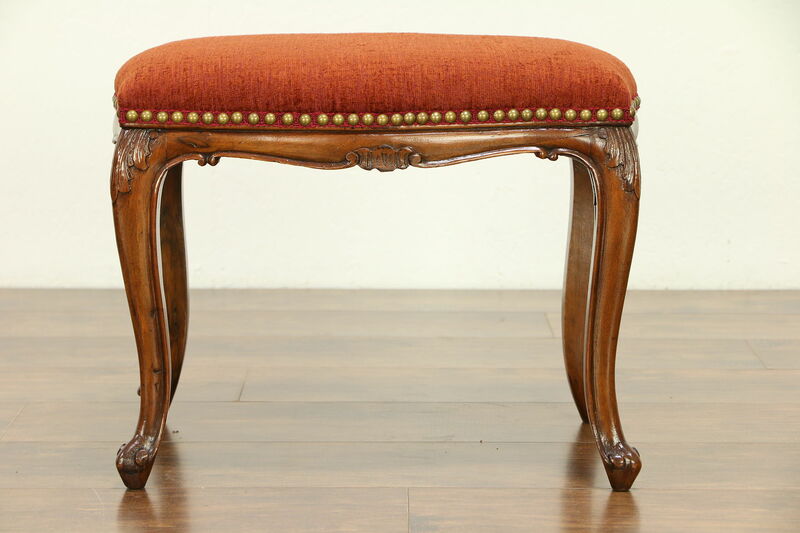 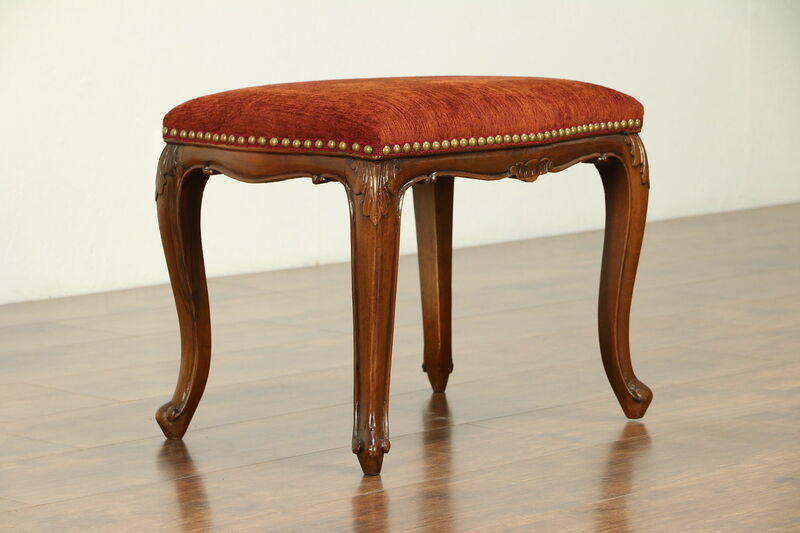 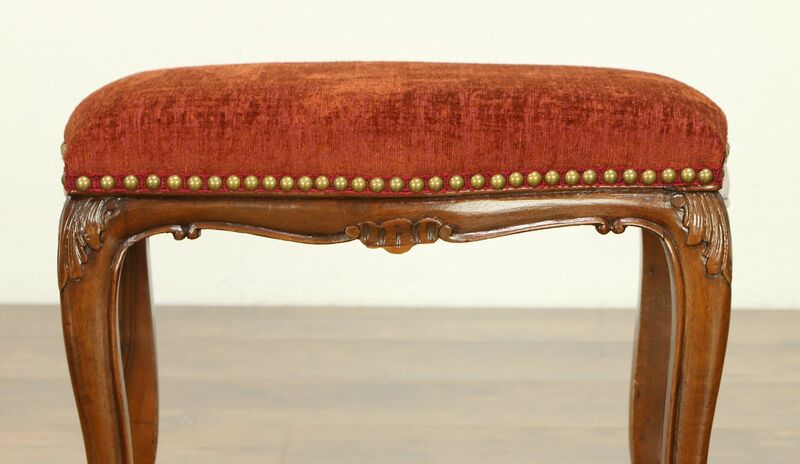 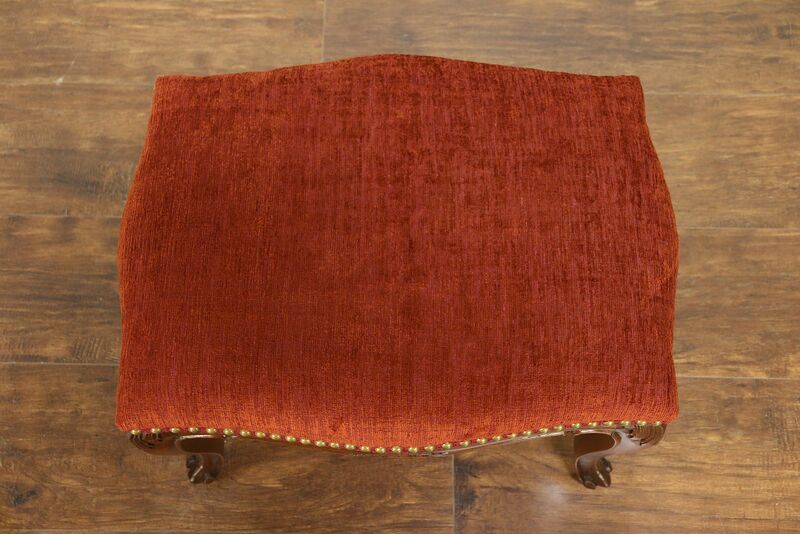 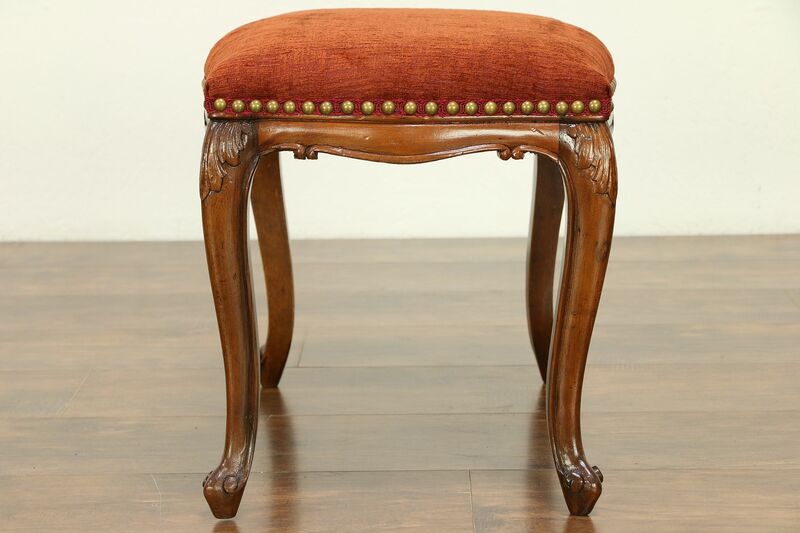 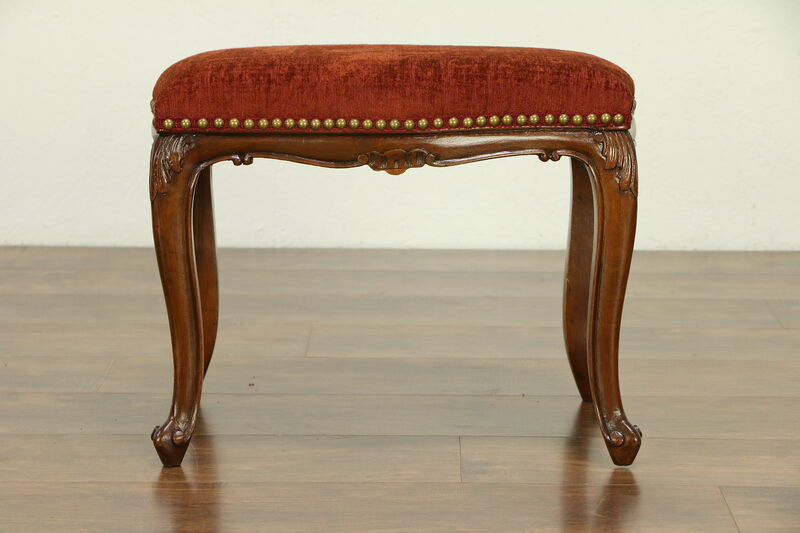 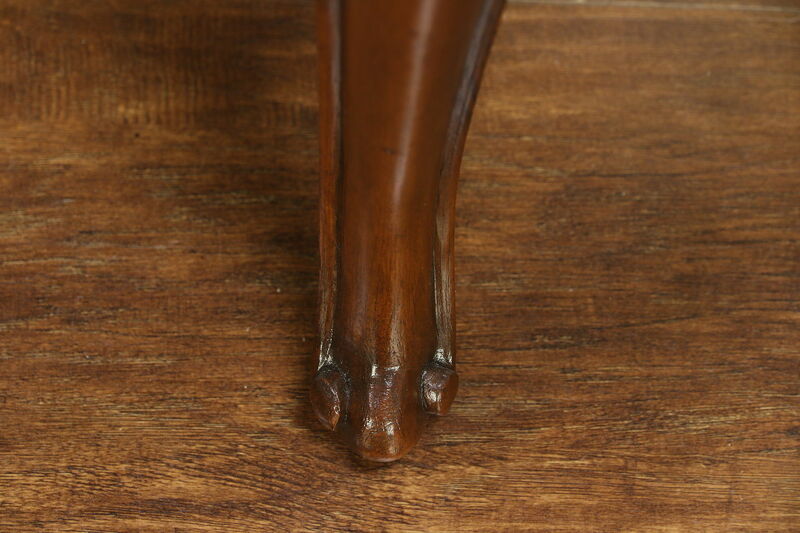 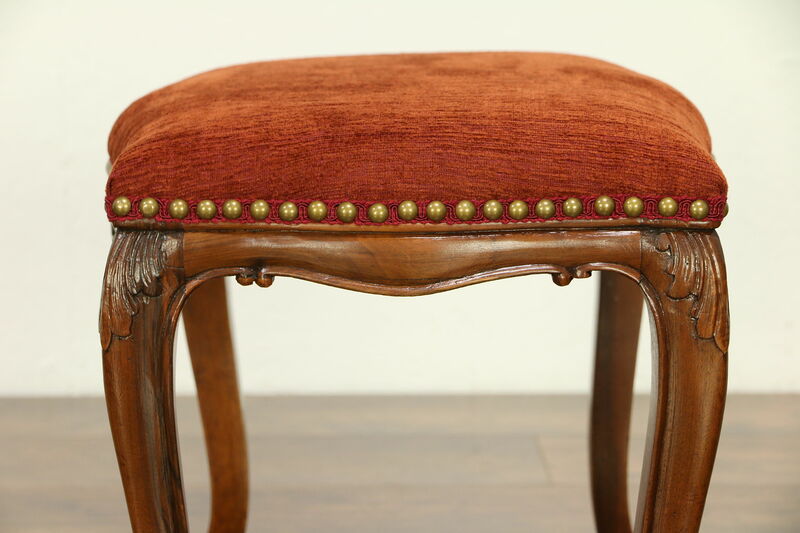 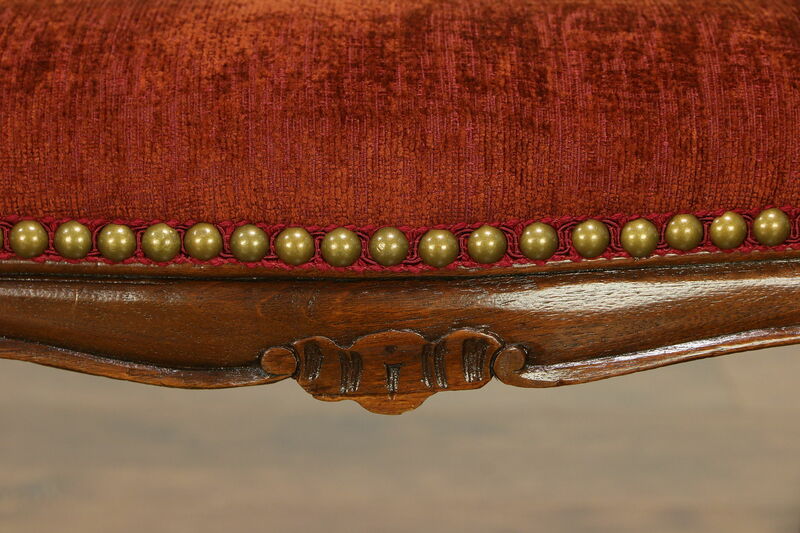 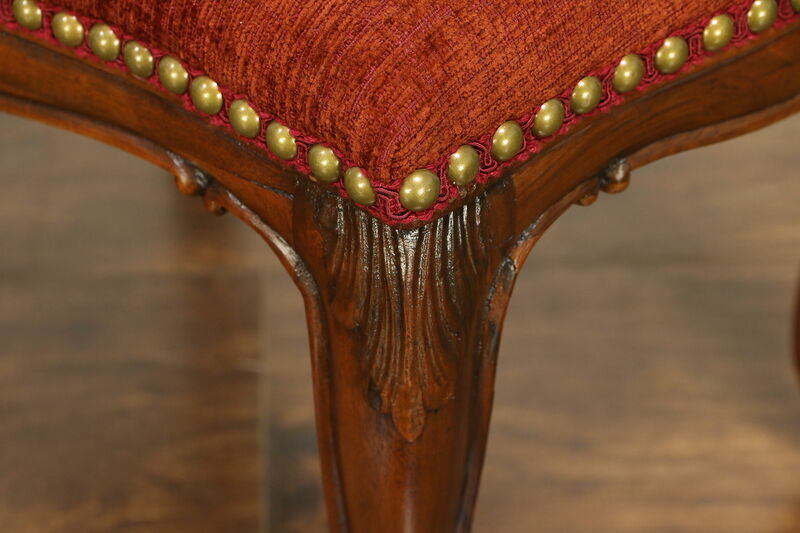 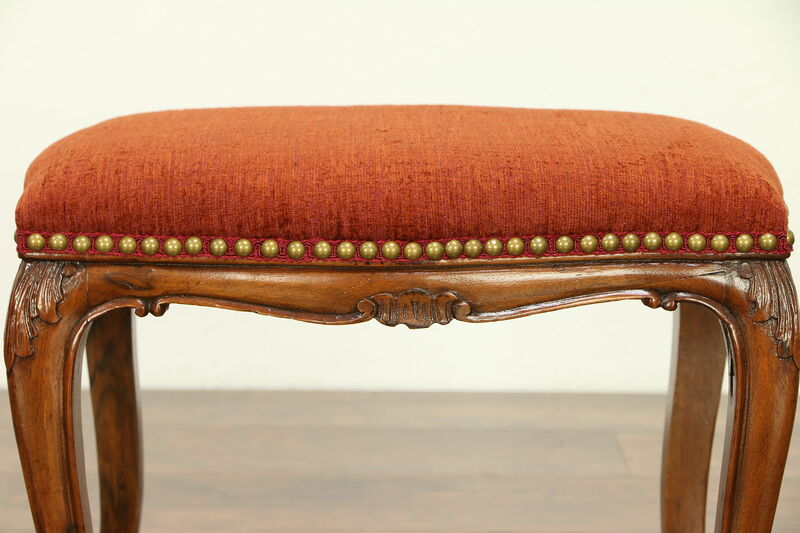 An authentic Country French stool or bench from about 1920 was hand carved of solid walnut, and has been newly upholstered with brass nail head trim. 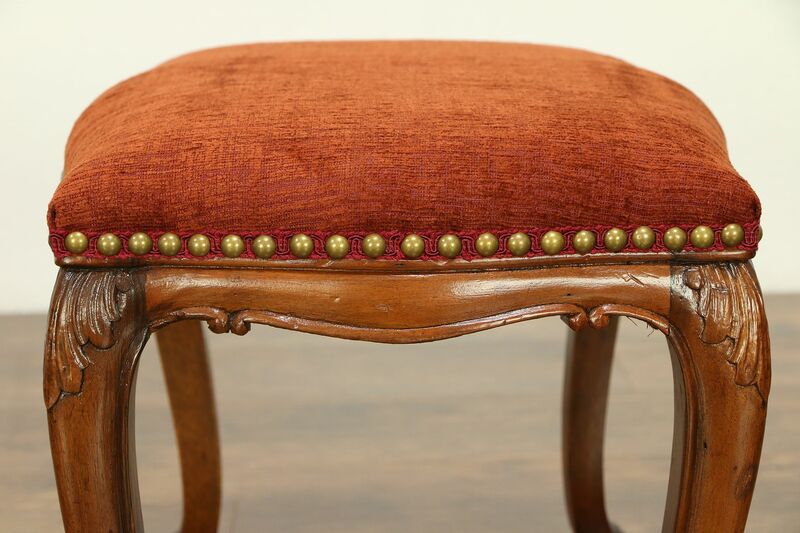 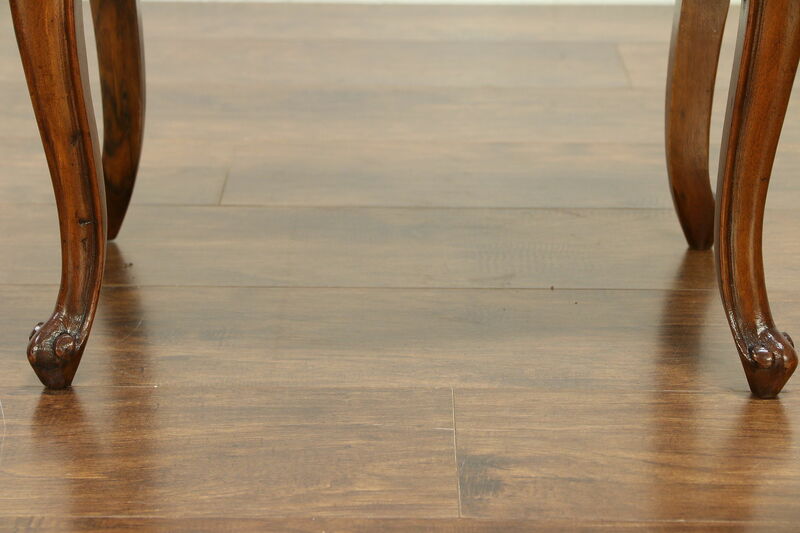 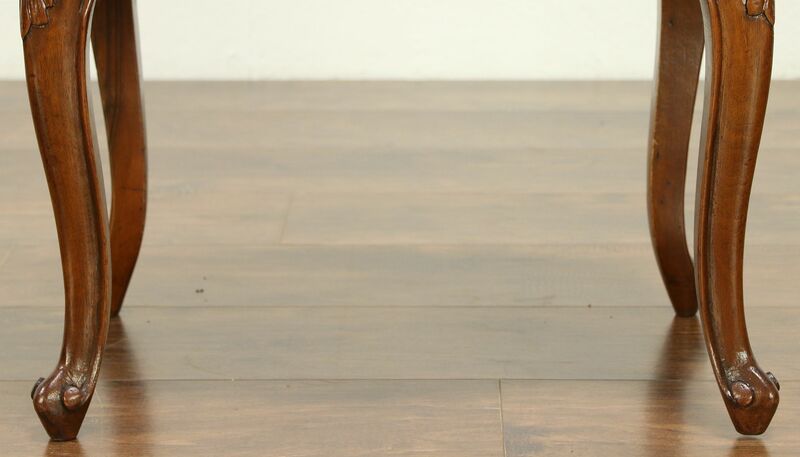 The restored finish is in excellent condition with warm antique patina, preserving just enough mars for a little character. 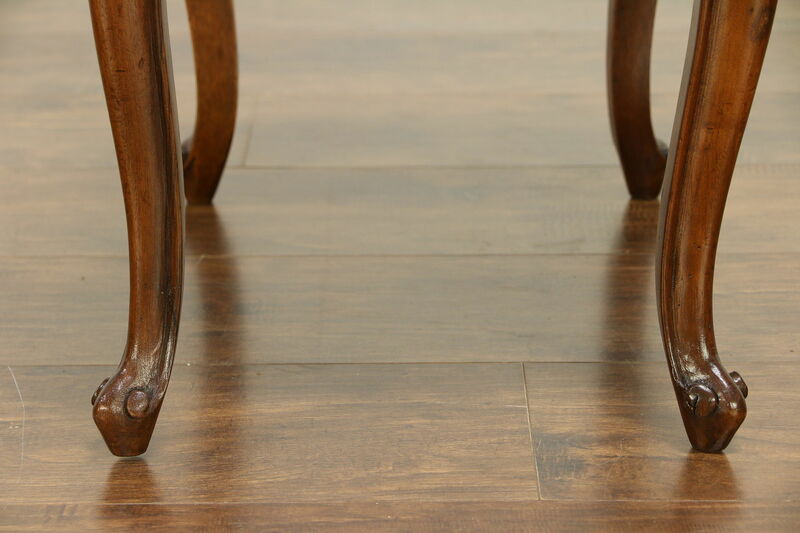 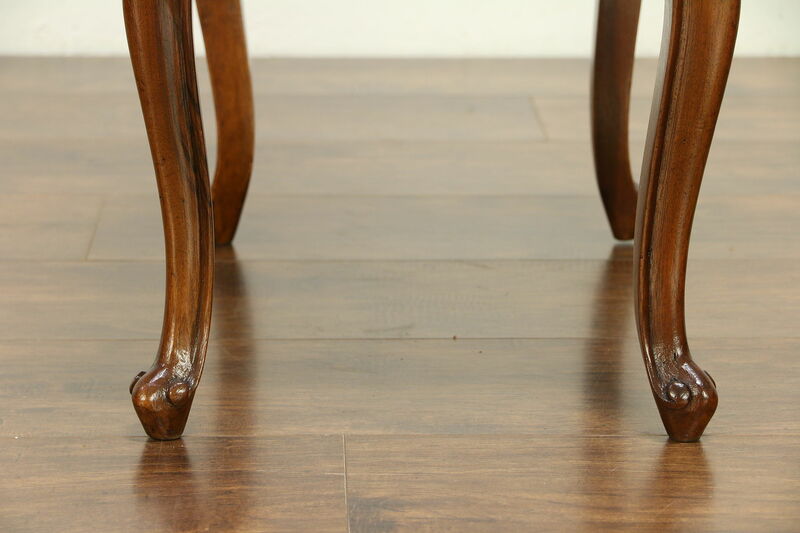 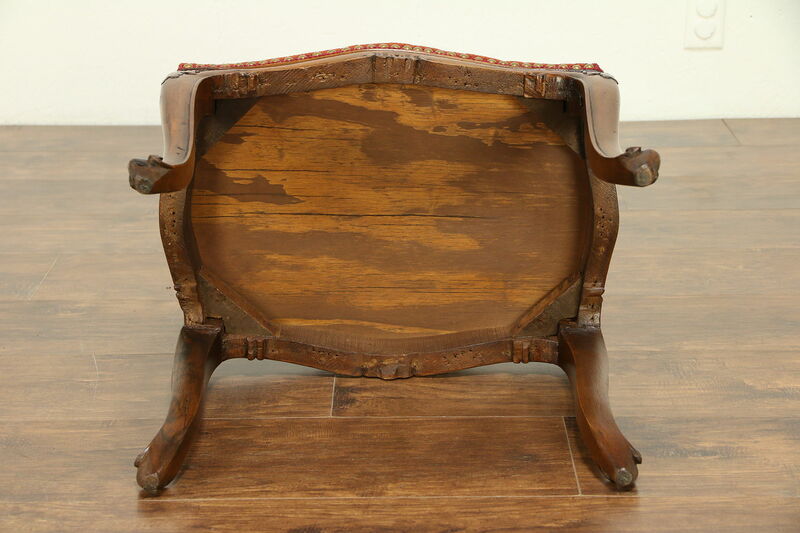 Reglued to serve another generation, the frame is sturdy on this charming furniture from France. 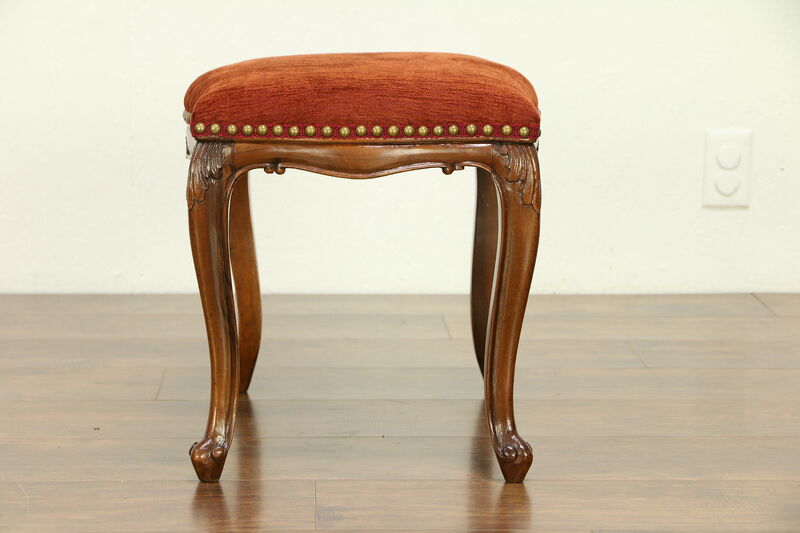 Size is 20" x 15" and 16" tall.